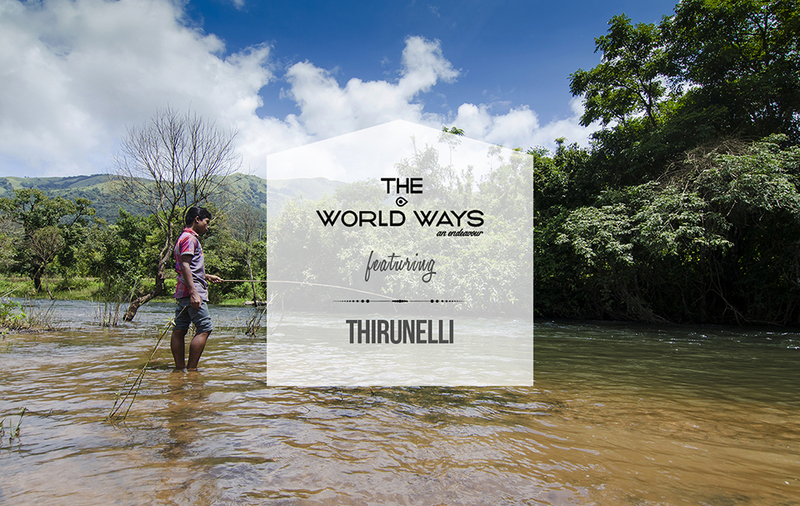 A few days after my trip to Hampi, I somehow got this inner call to go to Thirunelli, which is situated in a northernmost district of Kerala, Wayanad. Thirunelli Temple was my first priority and after a bit of Youtube-ing and Google-ing, I found that there is Papanashini located just about a kilometer from the temple. I planned it as a weekend trip and the only important things in my itinerary were the Temple and Paapanashini. Rest plan was ‘no plan’. In a green bus. To a green land; 12/09/2014. It was past 7:30 PM when I reached Ernakulam Bus Stand. Got into the RNC 718 Super Express which started right at 8:00 PM. After stopping at Thrissur for dinner by 10:10 PM and resuming the journey after 20 minutes, we reached Calicut bus depot by 1:15 PM. Another one hour ride and we started to ride up the all famous Thamarassery Churam. By then, I shifted to the utmost front seat on the right side; just behind the driver. Man, it was one such thrilling ride. The driver, Mr. Rasheed, who was driving slow until then, showed his caliber. Under the moonlit starred blue sky, he took twists and turns with utmost care and perfection. By sharp 4:00 AM, we reached Mananthavady. It was cold. We had hot black coffee along with Uzhunnuvada and Parippuvada which induced energy into the body. Had to wait there for one and a half hours to get our bus to Thirunelli. It took around 45 minutes to reach the destination. The hotel nearby the temple, where I had the plan to stay, was completely occupied since it was a weekend. Roaming around to find a place to freshen up and keep our baggage, I called to a number which was seen on an electric post nearby. 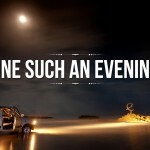 Upon reaching there, we came to know that they’re booked for the evening. So we took a double room just until 5:00 PM and planned to leave the place after that. From there, as told by a locale, we took a small path through the forest that lead us to the Papanashini. We had carried soap and clothes for bathing in there, but upon reaching there, we realized that since it is a sanctified place, one can only sink himself in the flowing stream so as to bath. The water was chillingly cold. It’s a bit of task to sink the body completely as water was less, yet we enjoyed it. After going to the temple from there and reaching back at the hotel, we had breakfast. Then, we took the road that lay to the left of our hotel and reached Kalindi river. The place opened us a way to the forest area. As said by a kid on our way, the place inhabits elephants. Women were seen washing clothes. After taking some three steps into the woods, a leech crawled onto my leg. I took it off and walked further. It was beautiful. Serene. Electric fence was seen; so as to keep elephants away, and maybe, other forest inhabitants too. A few kids were seen fishing by the river. They were friendly. After taking a few shots of them, we proceeded further and reached a small paddy field. We headed further until we reached a point which restricted further access to the forest with an electric fence. On our way back, we stopped at the paddy fields and spent some time on the rocks, dipping our marsh covered foot in the flowing cold water. It was sunny, but yeah, the water was still cold. It was 1.30 PM when we got back. After taking rest for half an hour, we went in search for lunch. The hotel we stayed ran out of meals and that made us walk up to the temple premises. There too, the scene was no different. It was then I got reminded of the vegetarian hotel adjacent to the temple which I found in one of the YouTube videos past then. They only had Puri and Masala. Since our stomach had already started to make unusual sounds, we could pretty much eat anything by then. After the late lunch, we got back to the hotel, checked out and took a private bus to Mananthavady by 5:15 PM. Reached the Mananthavady bus stand by 6:30 PM. The place has budget hotels nearby the bus stand itself and we choose the Hill Top Hotel just opposite to the bus stand’s entrance. Rs.400/- for a triple room. Lavish much. We charged our mobiles and got out of the hotel to walk around the town, had some street food, came back, and slept. It was 7:30 AM when we woke up. Lazing around, we got out by 9:30 AM, had breakfast from the hotel nearby and got into a Kutta KSRTC (RNK 109, KL 15 8339) from the depot. Tickets were taken to Tholpetty from where we planned to trek through the forest. But when we got there, the forest guard told us that the entry is permitted only from 7:30 AM – 10:00 AM and 3:30 AM – 6:00 PM. So we got into a RNK 108, KL-15-8322 KSRTC and got down at Kaattikkulam depot. But after an inquiry, we came to know that the last bus to Bairakuppe had just passed. 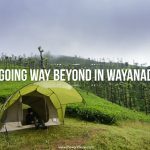 We waited for the Mysore bus that passes through Bairakuppe, but since our 15 minutes of waiting didn’t find any fruit, we decided to get back to Mananthavady, check out and head to Bavali instead. We checked out from the hotel, got into a KSRTC which was heading to Bavali. Got down at the last stop, which is Bavali. From Bavali, our plan was to walk towards Perikkallur. With both sides having the urban untouched beauty of lush green paddy fields and tree houses along with small huts, the muddy road heading to Perikkallur spanned for about 4 kilometers. The Sun shined bright, but it wasn’t annoying. Since we had checked out from the hotel, we had our baggage with us. Carrying them – one as a backpack and the other as a Kangaroo pouch, we commuted to the destination. Except for a few locales, one KSRTC which was commuting between Bairakuppe and Mananthavady, we could only spot a few child shepherds on our way. We paused twice where we could find some shade – at first, it was beneath some trees and for the second time, it was in an abandoned party office sort of place. One and a half hours of walk it was. A way that took us into the forest welcomed us to Bairakuppe. After getting packed soft drinks, we got into a boat that commuted between Bairakuppe and Perikkallur. Getting down from the boat which took less than five minutes to traverse between the two shores, we walked for about a kilometer and reached a church premise which is known to be the KSRTC hub of Perikkallur. Yet another round of cool drinks and we took a private bus to Pulpally from where we got a bus to Sulthan Bathery depot. Bringing in a bit of electrical energy into the mobile and tea energy into our body, we boarded our bus back to home at 5:55 PM and got back to hometown by 3:00 AM in the morning. All well and done in a short-not-so-planned trip.